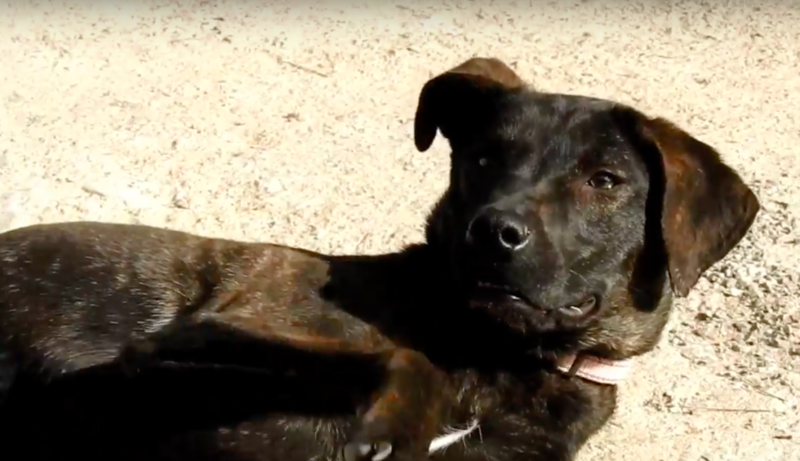 Sofi, “the dog that no one wanted,” wound up with a happy ending, and her journey to get there will definitely bring you to tears! Sofi was at the Save A Greek Stray shelter since she was a puppy and had been overlooked so many times. She had so many things going against her: she was an adult, a black mixed-breed dog, and also had a unusual condition, which made her walk funny and constantly fall over. They believe the distemper she had suffered from when she was a puppy made her walk this way. Despite her sad life, Sofi was a happy dog and loved life, people, and other dogs. Someone at the shelter posted a video of her on social media and waited to see if anyone wanted to adopt her. 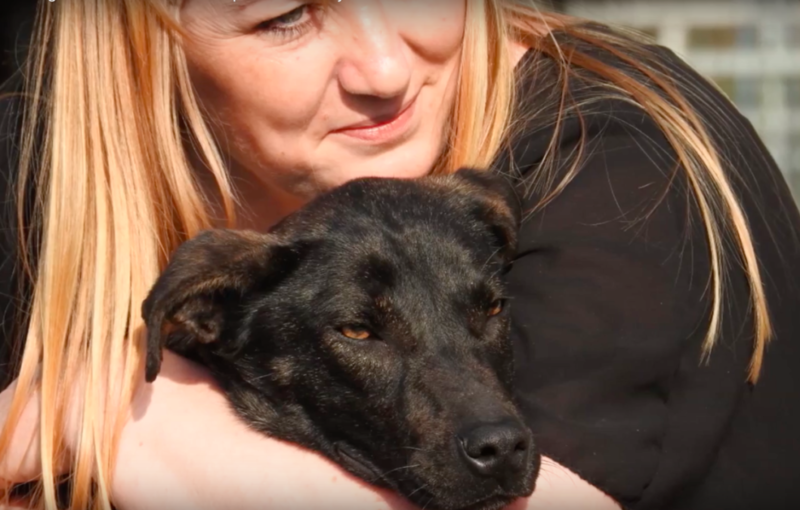 A Dutch woman named Marcia stumbled across the video and knew that Sofi would be a perfect fit for her family, her husband, their three kids, and their two rescue dogs. Although she lived over 1,200 miles away, Marcia still wanted to adopt her. She flew all the way from Holland to Greece to pick her up. Now, Sofi gets to sleep in a warm bed made just for her, play with her new doggy siblings, and be loved so much. Hopefully Sofi’s story will be an inspiration to others to want to adopt instead of shop!